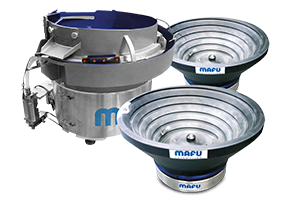 The bowl feeders and parts feeders from MAFU Automation are designed on 3D CAD systems. The vibratory bowls along with the corresponding sorting baffles and the position aligners for the parts are made on our modern 5axis production machines. 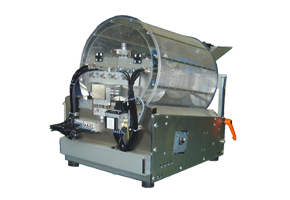 Flexible configuration possibilities and optimum reproducibility are guaranteed. Many applications can already be automated both reliably and economically thanks to MAFU Automation innovations in 3D object position recognition, picking point calculation and picking technology. 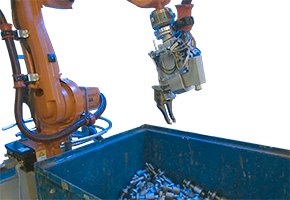 "Bin picking" solutions can be integrated with all common robot types. This enables the emptying of transport containers such as lattice boxes, pallets etc. to be guaranteed with 100% customer satisfaction. Complete system solutions are planned, realised and commissioned all over the world on the basis of MAFU Automation system components. The focus here is on customers' wishes and what customers require in terms of individual solutions. 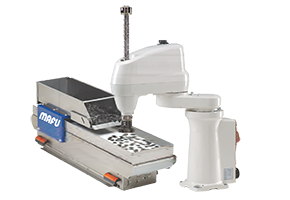 During the entire development process, from the initial discussion right through to delivery, customers of MAFU Automation can rest assured that they have a competent partner. 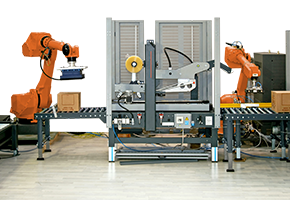 The robot systems developed by MAFU Automation do the job of loading and unloading various parts such as cardboard boxes, bins etc. onto and off pallets along with the related handling or empty pallets and interlayers. CNC machines can also be loaded. 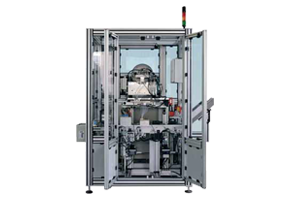 For this, the robot is fitted with a double gripper, so that the picking of finished parts and the placement of raw parts can be done in parallel.